Editor’s note: Benoit Hardy-Chartrand is a research associate at the Centre for International Governance Innovation, where he contributes to a project on Confidence, Trust and Empathy in Asia-Pacific security. The views expressed are his own. 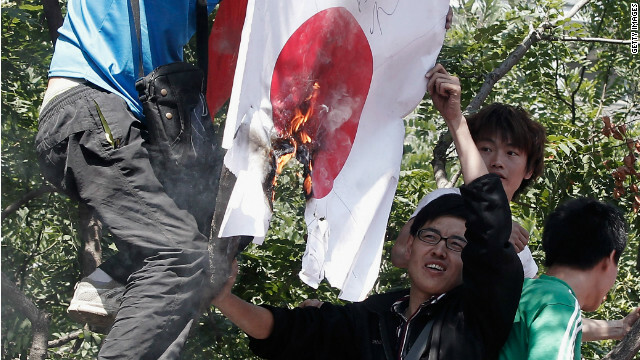 Japan and South Korea’s bilateral relations are their worst in years. Since Japanese Prime Minister Shinzo Abe and Korean President Park Geun-Hye were elected in December 2012, their only encounter was a trilateral meeting hosted and arranged by U.S. President Barack Obama in March 2014, held on the sidelines of a summit in the Netherlands. The meeting provided for an awkward moment and did little to ease the visible chill between the two leaders. While a territorial dispute concerning a group of uninhabited islands in the Sea of Japan (or what Koreans prefer to call the East Sea) has contributed to the freeze, the crux of the problem remains Japan’s perceived attempts to whitewash certain aspects of its wartime conduct, particularly with regard to the so-called comfort women. The euphemism refers to the thousands of women, the majority of whom were from Korea, forced into sexual slavery by the Japanese Imperial Army during World War II. South Koreans feel that Japanese leaders have not properly repented for their country’s past, often contrasting Japan’s handling of history to how Germany dealt with the Nazis’ war crimes. How big a threat is nationalism to Asia's stability? GPS Digital Producer Jason Miks speaks with Robert Kaplan, author of Asia's Cauldron: The South China Sea and the End of a Stable Pacific, and Geoff Dyer, author of Contest of the Century: The New Era of Competition with China-and How America Can Win, about territorial disputes in Asia, the threat of nationalism, and why the United States should be concerned. Watch both on "Fareed Zakaria GPS," this Sunday at 10 a.m. and 1 p.m. ET on CNN. The Chinese Communist Party’s legitimacy has in large part rested on its ability to keep its economy delivering double-digit growth. With signs the economy might be slowing, is the government likely to be more tempted to stoke nationalism there? Dyer: I think you’ve actually been seeing that since Tiananmen Square in 1989. The party lost legitimacy based on the idea of Marxism, and then particularly after Tiananmen it was facing this huge crisis of legitimacy. So really these were the two things that it had based its credibility on – economic competence and a growing economy, and nationalism. And for a number of years, the Communist Party has been fostering this kind of victim nationalism narrative, this idea of the Century of Humiliation – foreign powers came in and victimized us for a century, and now we’re standing up for ourselves. That’s been really intensified for the past 20 years, and is really coming to a head now in recent years. One of the problems is that this has really narrowed the space the government has to maneuver in on these kinds of issues. It’s not necessarily that nationalism is dictating the foreign policy. But it gives them much less room to compromise and to make concessions if they ever did get into negotiations. Kaplan: I think the biggest global question, in my opinion, is not Iran or Ukraine. It’s the direction of the Chinese economy, and whether China is going to have a soft or hard landing. If it’s a hard landing, then the question is how hard, and will this lead to social and political turmoil? And in such a situation, the easiest thing for a regime to do is to dial up nationalism. And if you dial up nationalism, that translates into a more aggressive policy in the South and East China Seas. Editor’s note: Daniel M. Kliman is a senior advisor with the Asia Program of the German Marshall Fund of the United States (GMF) and a fellow at the Truman National Security Project. The views expressed are his own. 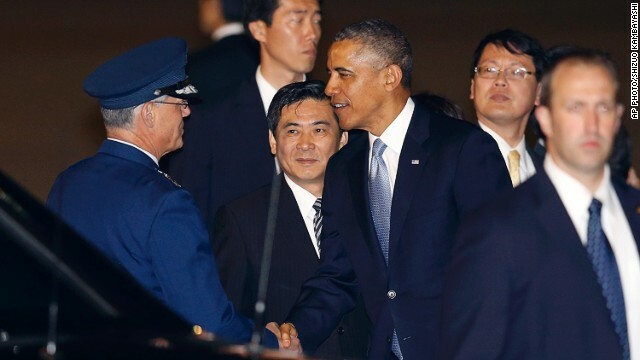 President Barack Obama’s Asia trip, which has started with a visit to Japan, will send an unmistakable signal: the United States remains committed to a region that has become the world’s economic and military center of gravity. Yet once the afterglow of the visit fades, U.S. allies and partners in the Asia-Pacific are bound once again to question American staying power. True, the Obama administration’s signature foreign policy initiative – the pivot or rebalance to Asia – has achieved many of its initial objectives. Countries in the region recognize this. But they are ultimately more focused on what will come next. And with less than three years of Obama’s presidency remaining, now is the moment to lay out a vision for U.S. Asia policy through 2016. Two opposing sets of forces have long co-existed in Asia. Deepening economic interdependence, a growing constellation of regional forums, and the spread of democratic values promote peace. At the same time, rising nationalism, territorial disputes, military buildups, and the adverse impact of climate change create an undercurrent of instability. Shinzo Abe on the third arrow of "Abenomics"
Japanese Prime Minister Shinzo Abe explains what is behind “Abenomics” and what the so-called third arrow of these reforms mean. Watch the full interview on "Fareed Zakaria GPS" this Sunday at 10 a.m. and 1 p.m. ET on CNN. What is important about the third arrow, structural reform, is to convince those who resist the steps I am taking and to make them realize that what I have been doing is correct, and by so doing, to engage in structural reform. Last autumn, the Diet (Parliament) decided many things. In terms of agriculture, I made the decision to end the "rice production adjustment," which had continued for 40 years. I also passed a law to make it easy to dramatically consolidate farmland, to make it easy to do that. And on the medical front, I decided that selling medicines over the Internet would be made possible. And I amended the pharmaceutical laws, to make it possible for companies to continue to develop regenerative medicine, creating opportunities in that area. Fareed speaks with Japanese Prime Minister Shinzo Abe about the recent controversy over the killing of dolphins in Taiji. Watch the full interview on "Fareed Zakaria GPS" this Sunday at 10 a.m. and 1 p.m. ET on CNN. Mr. Prime Minister, you know that there is around the world now a controversy. I was wondering what your reaction was to the idea of suggested by the U.S. ambassador that it is inhumane. The dolphin fishing that takes place in Taiji town is an ancient fishing practice deeply rooted in their culture and their practices and supports their livelihoods. We hope you will understand this. In every country and region, there are practices and ways of living and culture that have been handed down from ancestors. Naturally, I feel that these should be respected. At the same time, I am aware that there are various criticisms. I have also heard they are making major improvement in their fishing methods. Both the fishing and fishing methods are strictly regulated. Is Japan's aging population a good thing? We were struck by some startling data this past week. Last year saw Japan's population fall by 244,000 people – the largest natural decline in that country's history. It's a trend that's getting worse. By 2060, Japan projects that its population will have fallen by a third; 40 percent of Japanese will be retirees. It sounds like a recipe for disaster. Imagine a United States where half the population is over the age of 65: Social Security would collapse, health care costs will explode. So, we were surprised to see a headline in the latest edition of The New Scientist claiming "Japan's aging population could actually be good news." How on earth is that possible? After all, China relaxed its "one-child" policy last month precisely so it could avoid the fate of Japan. And that fate, if you go by conventional wisdom, seems to be slowing growth, and leading to unsustainable debt. Why? Because our entire system is based on having enough young workers to pay for pensions and government services. Topics: Japan • What in the World? Editor’s note: Gregg Andrew Brazinsky is an associate professor of history and international affairs at George Washington University and advisor to the North Korea International Documentation Project at the Woodrow Wilson International Center for Scholars. The views expressed are his own. Japan can sometimes be wrong, a basic fact that Washington sometimes seems to have a problem understanding. American officials have long seen Japan as a staunch U.S. ally, one that former Japanese Prime Minister Yasuhiro Nakasone once suggested could become an unsinkable aircraft carrier in the Pacific. But while this may be true, since securing power in December 2012, Japanese Prime Minister Shinzo Abe has done far more to undermine American strategic interests in Asia than to support them. Regrettably, the Obama administration’s response to this unfortunate shift in Tokyo’s foreign policy has been weak and confused. It’s time for the U.S. to get serious about reining in Japan. 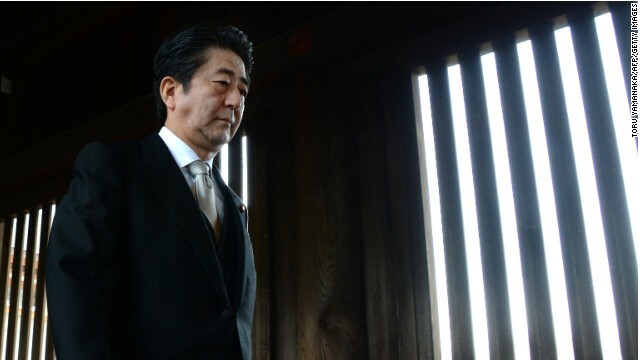 Japan in 2014: Can Abe manage China tensions? 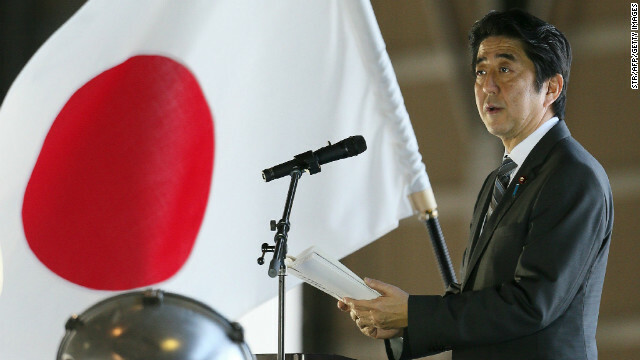 Will Japan assert its own vision for East Asia, or will it continue simply to react to China? That will be the biggest question in 2014 for Tokyo as tensions with Beijing continue to mount. Japanese Prime Minister Shinzo Abe’s decision to beef up military spending and enhance its longer-term security is a game-changer for the region, and while there is a chance the move will strengthen bilateral relations between Japan and the United States, it is unclear how this will impact Tokyo’s relations with Beijing. Whatever happens, though, there can be little doubt that tensions over the disputed islands in the East China Sea will remain in the headlines this year – and the reality is that there is no easy solution to the dispute over who owns what Japan calls the Senkakus and China the Diaoyu Islands. Tokyo’s decision last month to increase military expenditure to $239 billion over the next five years, coupled with a new 10-year national security strategy, was the clearest sign yet that Japan is serious about strengthening its defense capabilities against a backdrop of China’s surging economic and military power. GPS speaks with International Crisis Group analyst Yanmei Xie about recent tensions in East Asia, China’s air defense identification zone, and what it means for U.S. ties with Beijing. What exactly is the air defense identification zone that China has announced? Challenged at sea, Beijing could be hoping to assert greater control over the contested islands by unilaterally establishing administrative rights over the airspace above them. It has already been eroding Japan’s administration of the disputed waters by regularly dispatching patrol vessels to the area since the Japanese government purchased three of the islands from a private owner in September 2012. The move may also have been driven by the People’s Liberation Army’s desire to expand its power projection. 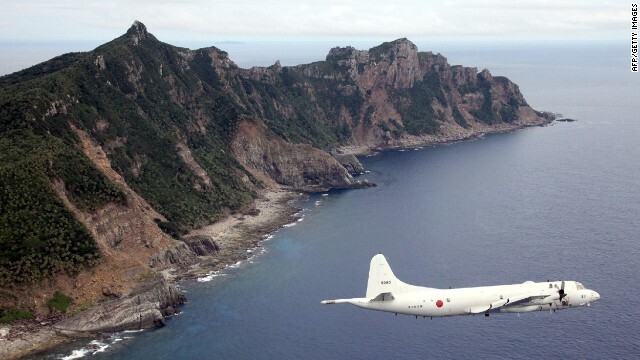 The PLA for years has been arguing that Japan’s air defense identification zone unfairly restricted Chinese military aircraft’s movement and advocated for the establishment of one of its own. China’s sudden declaration, however, is puzzling in light of its foreign policy goals. Just a month ago, Chinese President Xi Jinping in a high-profile speech, stated that “safeguarding peace and stability in the neighboring region is a major goal” of the country’s diplomacy. Editor’s note: Jeffrey W. Hornung is an associate professor at the Asia-Pacific Center for Security Studies in Honolulu, and an adjunct fellow with the Office of the Japan Chair at the Center for Strategic and International Studies in Washington, D.C. The views expressed in this article are his alone. China’s more assertive posture in regional territorial disputes took a new turn at the weekend with its decision to implement an Air Defense Identification Zone. At a time when tensions in the region are already high due to a lingering territorial dispute between China and Japan, China’s action has escalated tensions in the East China Sea. Now, with Beijing apparently demonstrating a fundamental misunderstanding of diplomacy with its neighbors, the region is forced to confront provocative and potentially destabilizing behavior. ADIZs are, by themselves, not controversial, acting as early-warning perimeters for self-defense. But while there are no international rules concerning their size or establishment, China’s action is provocative for two reasons. First, it may be attempting to set new rules for aircraft flying above waters considered a state’s exclusive economic zone (EEZ). Second, it chose to establish an ADIZ that overlaps considerably with those of both Japan and Taiwan as well as a sliver of South Korea’s. Provocatively, included in China’s ADIZ are territorial disputes it maintains with Japan over the Senkaku Islands (Diaoyu in Chinese) and with South Korea over Ieodo (Suyan Rock in Chinese). Did China make strategic error with air zone? Editor’s note: Michael Mazza is a research fellow at the American Enterprise Institute. The views expressed are his own. It’s difficult to know precisely what was behind China’s decision to institute an East China Sea Air Defense Identification Zone (ADIZ) at the weekend. 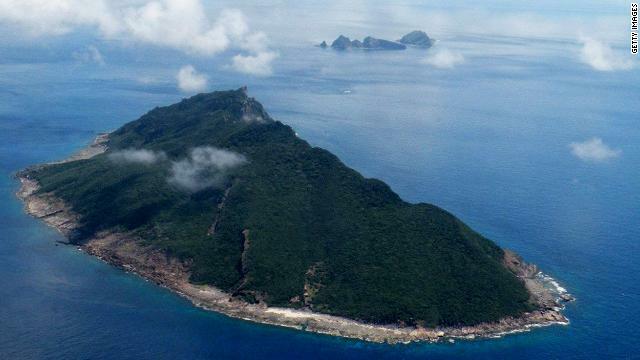 Chinese claims to the contrary, it is clearly meant to up the pressure on Japan in the two countries’ dispute over the Senkaku/Diaoyu islands, over which the ADIZ extends. Internal Chinese political dynamics may also be at work here; President Xi Jinping, for example, must be benefitting from taking a strong stance vis-à-vis Japan. But whatever the reason for the creation of the ADIZ at this time, Beijing may ultimately regret it – and not only because it increases the likelihood of a violent incident over the East China Sea. First off, the move needlessly antagonizes Taiwan and South Korea. 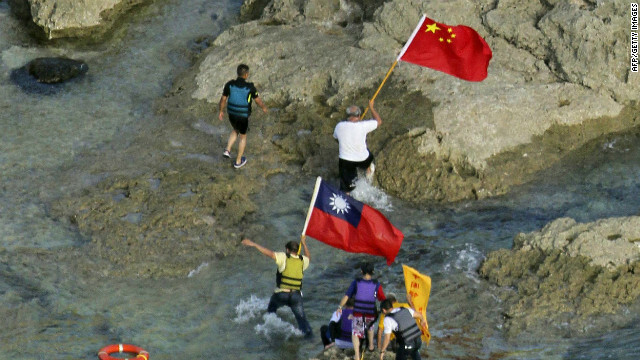 The fact is that it puts a wrinkle into recently stable cross-Strait relations, as Taiwan also claims sovereignty over the Senkakus (known as the Diaoyutai in Taiwan), and it now has an overlapping ADIZ with the mainland. The ADIZ is even more surprising in the context of China-South Korea relations, which have looked particularly warm of late. Seoul’s quarrels with Japan over history have been at their worst in recent months, and Beijing has effectively stoked that fire. But China’s new ADIZ overlaps with South Korea’s; covers the disputed Socotra Rock (which both countries claim as within their own exclusive economic zone); and may extend a bit too close for comfort to Jeju Island, where South Korea is building a major naval base. In one fell swoop, Beijing has reminded Seoul that South Korea has more in common with Japan than it normally likes to admit. And the best city in the world for food is...? Fareed speaks with Anthony Bourdain, renowned chef, food critic and host of Parts Unknown, for his take on the world's greatest city to dine out in. Watch the Tokyo edition of Parts Unknown this Sunday at 9 p.m. ET/PT on CNN. You go to Tokyo, you have been many times. I think most will be surprised to know that the city that gets the most Michelin three stars is not Paris, is not New York, but Tokyo. Do you agree with that? If I would ask ten great chefs that I know around the world what city in the world would you like – if you had to be stuck in one city and eat every meal there for the rest of your life, where would that be – nine out of ten would say Tokyo. There’s a level of perfectionism, attention to detail, quality ingredients and tradition and technique that's really unlike any place else. It's endlessly deep subject and with the show that I did there most recently, we tried to draw a direct line between that excellence and attention to detail – that fetishism, really, for food and quality with the sort of subterranean repressed ids of the Japanese male. So it's probably going to be a parental advisory type show.